The fact that the seriousness of this danger was not well known within the Pakistani populous for so long is unsurprising, as the warnings of water security experts have been largely ignored. But today—primarily due to three events that occurred this past year—the water crisis seems to be getting the attention that it deserves. First, Pakistan’s Permanent Indus Commission objected to the Kishanganga hydroelectric project initiated by Indian Prime Minister Narendra Modi on grounds that it violated the Indus Water Treaty. Simultaneously, the Pakistan Council of Research in Water Resources predicted that Pakistan could “run dry” by 2025. Both of these events catalyzed public outcry and brought the severity of the situation into mainstream discussion. These first two events then culminated in the most tangible representation of the urgency of the water crisis: The Supreme Court of Pakistan and the Prime Minister of Pakistan Diamer-Bhasha created the Mohmand Dams Fund — an attempt initiated by the Chief Justice of Pakistan to crowdsource $14 billion for the construction of a large dam. These events successfully created awareness amongst the public regarding the severity of the crisis Pakistan faces. At the same time, this awareness has led to the spread of rampant misinformation about the nature of the water crisis. The general public has yet to understand what the water crisis is, how it is to be defined, what its causes are, and where the solutions lie. This paper will attempt to remedy this. What is India’s role in Pakistan’s water crisis and how effective are the existing mechanisms, namely the 1960 Indus Waters Treaty, in safeguarding Pakistan’s interests? What is and what is not the water crisis — how to define exactly the causes, components, and realities of Pakistan’s true water crisis? What steps should be taken by all stakeholders that will contribute to improving the understanding, management, and distribution of water resources? Part One of this paper will address international transboundary water sharing challenges in the Indus Basin between Pakistan and India. After the Uri attacks in September 2016, Indian Prime Minister Narendra Modi made a provocative statement targeted at Pakistan claiming that “Blood and water cannot flow together”. Sartaj Aziz, the then de-facto foreign minister of Pakistan at the time, emphatically replied by saying that any attempts by India to revoke or quell the flow of water into Pakistan can be taken as an “act of war.” Two years later, the Kishenganga inauguration on the Jhelum river played into these pre-existing dispositions. An atmosphere of fear was created in Pakistan through a widespread perception that India possesses the ability to stop water flow into Pakistan through their projects. Our findings will show that this is merely a perceived crisis as the legal mechanisms in place for transboundary water sharing between the countries are strong enough to ensure Pakistan’s complete water security. Part Two will detail the true nature of Pakistan’s domestic water crisis. Based on our findings, we will examine the substance behind Pakistan Council of Research in Water Resources prediction that Pakistan could “run dry” by 2025 by analyzing the historical, structural, and macro-economic deficiencies in domestic water resource management and policy. It is here that we identify the real crisis and formally define Pakistan’s water crisis, identify its causes and components. Part Three uses the analysis and evidence presented in the paper to make recommendations on how to best move forward with India through the mechanisms outlined in the Indus Water Treaty (IWT) as well as addressing the domestic structural deficiencies in Pakistan’s water resource management. We hope that the discussion in this paper will contribute towards practical policy discourse on tangible structural, legal, and normative measures stakeholders in the region can undertake in the hope for introducing new approaches to understanding the water crisis and positing long-term solutions for Pakistan. But before launching into this inquiry, we turn to the basin itself. The Indus River is Pakistan’s lifeline. Originating from Tibet in the upper reaches of the Himalaya, the river moves through Indian-controlled Kashmir (a disputed territory) and finally enters its most dependent area, across the international boundary into downstream Pakistan. It flows through the fertile plains of Punjab and then Sindh, eventually draining into the Arabian Sea. The British expanded the irrigation network in sheer size and scale to the point where the Indus Basin in Pakistan is the largest irrigation network in the world, accounting for seventy-one percent of the country’s territory. The Basin is directly responsible for the employment of nearly half of Pakistan’s labor force and a quarter of the gross domestic product. Given the size, magnitude, and dependence Pakistan places on the basin, it would be difficult to overemphasize the importance of the Basin in the security calculus of the country. The most significant addition to the political framework of the Indus Basin’s water infrastructure was the signing of the Indus Waters Treaty, 1960, between Pakistan, India, and the World Bank. The Treaty established how waters in the Indus Basin are to be shared between the two countries, established technical engineering parameters for construction projects, and outlined a dispute resolution mechanism in case of differences from either side. It is here that we will begin our discussion. The Indus River encapsulates a host of sensitivities for Pakistan’s national security apparatus. By flowing through Indian-administered Kashmir, India has theoretical control over the water flow and timing as they are upper riparian’s of the river. Given the adversarial relationship between the two countries, Pakistan has always viewed the Indus River through a security lens and consequently views Indian projects a potential threat to the country’s security. Many in Pakistan’s political and security elite believe their security concerns regarding Indian encroachments on the Indus are valid due to the burden of history. India stopped water flow into Pakistan on April 1, 1948. For the first (and only) time, India had demonstrated their willingness and ability to control water flow into Pakistan. This heightened the state’s insecurity as it became evident that the lifeline of Pakistan’s economy—the Indus River—was at the mercy of a hostile Indian government. The act defied the natural geography of the Indus Basin, leaving the newly-formed Pakistani state with the acute realization that it had to guarantee access to the waters of the Indus river system. For many in the Pakastani bureaucratic elite, the memory of April 1, 1948, is still alive, giving rise to paranoia concerning Indian projects on Pakistani rivers. Subsequently, Pakistan tends to view Indian projects through a security lens. The Indian government itself has politicized the 1960 Indus Waters Treaty. In 2016, Modi infamously said that “blood and water cannot flow together.” A few weeks later on the banks of the Ravi, he said that he “would not let a drop of the Ravi flow into Pakistan.” Some reports indicated that India was even reconsidering their participation in the Treaty. This inevitably brought all Indian projects on Pakistani rivers under political scrutiny and caused people in Pakistan to be overly skeptical about India’s role in Pakistan’s water crisis. Pakistan has been particular concerned regarding two Indian projects: the Baglihar and Kishenganga hydroelectric dams. Both have become highly emotive issues for Pakistan as there is a perception that India can affect the timing and flow of water into Pakistan using these structures. Before delving into the substance of these issues, it is imperative to understand how history shaped the water sharing arrangements between the two countries. The partition of the Indian subcontinent divided the Indus Basin between India and Pakistan. The Radcliffe Commission’s 1947 demarcation of the border drew a line over the largest contiguous gravity flow irrigation system in the world. The political leaders at the time were all too aware of this and used their influence to gain strategic advantages for their respective countries. This was especially true for the manner in which Punjab—the most important province at the time of partition given its central role in Indian politics—was partitioned. The Commission deviated from their duty to fairly and impartially draw the boundary between India and Pakistan a day or so before the announcement of the official land award because of one reason: water. Radcliffe’s private secretary at the time of partition, Christopher Beaumont, revealed that Britain’s last viceroy, Lord Mountbatten, was apparently goaded into action by Indian leader Jawaharlal Nehru, who pressured him to alter the first draft of the land demarcation. We now know that the division was changed to give India a substantial tract of land – the Zira and Ferozepur sub-districts of Punjab’s Ferozepur district. Both were Muslim majority, and thus, should have ordinarily gone to Pakistan. But important infrastructure that controlled the flow of water in the Sutlej river lay in these districts, making them an area of immense strategic importance. In the words of Beaumont, this incident brought “grave discredit on both men” and undermined the legitimacy of the ostensibly impartial Radcliffe Commission. Therefore, the tensions between India and Pakistan predate the very inception of the two states and set the tone for what was to follow. In the post-partition era, the relationship between people, territory, and state was fragmented. This led to a crisis of legitimacy which caused both states to take measures to establish their undisputed sovereignty. The Indus River directly challenged unified sovereignty by flowing across borders. Pakistan had territorial sovereignty over the river, whereas India, as the upper riparian, ensured its absolute sovereignty through control of the headworks infrastructure. Controlling water flows within national territory was essential to establishing legitimate state sovereignty. In this light, “controlling water” revealed the contradictions the partition had engendered by attempting to make nature conform to the political boundaries. The most overt example of an exercise of control occurred on April 1, 1948. After the expiration of a standstill water-sharing agreement between India and Pakistan, India unilaterally stopped water flow into Pakistan. Ironically, it used the very headworks India had covertly procured from Pakistan in the Mountbatten meetings pre-partition to do so. The Ferozepur headworks stopped the water coming into Pakistan from the Dipalpur canal as well as the upper Bari Doab Canal. India’s action left 5.5% of the sown area and almost 8% of the cultivable land in West Pakistan at the time without water. It also became an issue of provincial rhetoric for the Punjabi middle class as the impact was most visibly felt in the province’s cultural capital of Lahore, whose population saw a barren canal in the heart of the city. As The Pakistan Times editorialized, in the five weeks without water, “what should have been green fields” had “shimmered barrenly in the merciless sun.” When “water gurgled” once again in the canal on May 5, the paper reported that the “great excitement of the Lahori people” was palpable as they “flocked” the canal bank. Overnight, Pakistan and its people understood what it meant to be the lower riparian. The country was now all too aware of the fact that India possessed the ability to create a water shortage in the country at will. It was at this critical juncture that Pakistan swiftly moved to protect its water rights and security through negotiation with their Indian counterparts. While New Delhi insisted that water is no different from any other natural resource within India, Islamabad asserted that the natural flow of rivers across borders produces shared sovereignties. These diverging narratives caused the bilateral talks between Pakistan and India to fail and created a space for the international community to step in and broker an agreement. David Lilienthal, Chairman of the Tennessee Valley Authority, visited the Basin and pushed for the World Bank to take an interest in the dispute and broker talks for its resolution. Under the pretext of the Cold War and increasing Soviet influence in the region, the United States decided to take interest in this dispute. Using its auxiliary economic institution, the World Bank, the Eisenhower administration took a fundamentally challenging role in offering its “good offices” to mediate the water dispute. With this, the decade long negotiation process began. During the initial stages of the negotiations, India originally offered Pakistan control over five rivers. Pakistan rejected this as they felt they should claim all six rivers. As the talks went on, India offered Pakistan fewer concessions, until Pakistan was forced to accept control over only three rivers. Thus the Eastern Rivers whose courses run more in India were allocated to India, and the three Western Rivers that primarily run through Pakistan were allocated to Pakistan. While this negotiation meant that Pakistan had to give three rivers to India, further analysis reveals that Pakistan gained substantially more waters than they lost. All river flows are measured at rim stations in the northernmost monitoring stations. Pakistan extracted this information during the negotiations to understand how much water flowed in each river. The information revealed that Pakistan only gave up 29 Million Acre Feet (MAF) of water at the time in the three Eastern rivers and gained 114 MAF from the Western Rivers. However, Pakistan’s major population centers such as Lahore, Bahawalpur, and Multan are more situated towards the Eastern rivers. . The IWT’s sponsor entities (US, UK, and the World Bank) decided to launch an ambitious infrastructure plan to compensate for the loss of the Eastern rivers. A new system of barrages, dams, and link canals was intended to be constructed to divert excess water from the Western Rivers to the Eastern rivers. The cost would be borne by governments around the world, including India. However, this plan was delayed for nearly ten years as talks dragged on. The waters of the Western Rivers (Indus, Jhelum, and Chenab) would be given to Pakistan and India would be under an obligation to “let flow” their waters (subject to certain specified limitations for domestic, non-consumptive, and agricultural use). The waters of the Eastern Rivers (Ravi, Sutlej, and Beas) would be given for use to India exclusively. India would be free to construct “run-of-the-river,” hydroelectric projects on the Western Rivers (subject to various dam design limitations aimed to restrain India’s capacity to affect water flows). The Treaty also obligated both countries to regularly exchange data regarding flow and utilization of the waters and constitute a Permanent Indus Commission that serves as a regular channel of communication on matters related to the implementation of the Treaty. To say that the Treaty established a mechanism for “water sharing” or “cooperation” would be false. The Treaty effectively divided the Indus River into two independent segments: the Eastern and Western Rivers. India was not allowed to make large storage projects on these rivers or impact the flow and timing of water coming into Pakistan. In this regard, Pakistan’s immediate security concerns were resolved as the Treaty ensured their protection. The Indus Waters Treaty, signed in 1960 after almost a decade of negotiation, is considered to be “the world’s most successful water treaty.” The treaty has remained intact for over fifty years and survived three Indo-Pakistani wars. While there exists no doubt that it has been successful, we will address the various complexities and intricacies of the Treaty and its implementation. We will evaluate the success of the Treaty using three metrics. First, we will analyze the technical issues that have arisen in the Treaty by using the Baglihar and Kishenganga hydroelectric projects as case studies. Next, we will look at the normative impacts of the Treaty through its politicization, securitization, and perception in both countries. Finally, given that the treaty has not been revised since 1960, we will attempt to analyze whether or not it is structurally sound in the 21st century and attempt to shed some light on what the future may hold. From 1960 to 2002, the Treaty seemed to work effectively. In this time, there were no major disputes between the two countries regarding water. While small issues did arise, such as the Salal and Wullar projects initiated by India, but they tended to subside after both parties stated their respective positions. This changed in 2002 when India started aggressively pushing ahead with the Baglihar and Kishenganga projects. Under the Treaty, all “questions” are first required to be addressed bilaterally by the Indus Waters Commission. If the two sides cannot resolve this, then questions become “differences,” and finally “disputes.” If the two sides cannot resolve a “question” or “difference” bilaterally, they are referred to either a Neutral Expert or an International Court of Arbitration, depending on the nature of the question. For example, technical or engineering differences are referred to a Neutral Expert. Other disputes are referred to a Court of Arbitration. In nearly six decades, the options to resolve a “dispute” have only been used twice; once for the Baglihar and the other for the Kishenganga project. The first dispute that Pakistan formally litigated related to the Baglihar hydroelectric project and was taken up by Raymond Latiffe who was designated as the Neutral Expert. The most important question was India’s usage of low-level outlets. In simple terms, the level of an outlet matters because it allows India to drain all the water above the outlet. The act of draining all water in a reservoir is called “drawdown flushing.” Drawdown flushing’s primarily role is to clear sedimentation from the reservoir. This is done by having low-level outlets. However, the lower the outlet, the greater India’s capability to interfere with Pakistan’s water flow, and consequently, a greater threat to Pakistan’s security. The ability to control water flow through low-level outlets is especially relevant in the winter months. The Indus River is unique in the sense that most of its water flows from the months of April to October (the summer) are due to glacier melt and monsoons. In the winter months of November to March, water flow reduces significantly. Experts in Pakistan stated that the project would deprive Pakistan of 321,000-acre-feet of water during the three months of Rabi season and would have far-reaching consequences for agriculture as well. The project would cause a serious setback to wheat production in Punjab, Pakistan’s biggest wheat-producing province. This fear is compounded with the possibility of India constructing a cascade of projects with low-level outlets, as they would have control of Pakistan’s water supply. Low-level outlets are only superior to higher outlets for drawdown flushing — lowering the level of water in a reservoir. Sedimentation does not constitute an unforeseen emergency. Therefore, the low-level outlets built by India were a violation of the Treaty. Latiffe ultimately agreed with the Indian position and used the new distinction to justify the low-level outlets. This represented a security risk for Pakistan as drawdown flushing would allow India the ability to control water flow and timing, especially with the large number of projects India was planning to build using the same model. For these reasons, Mr. Naqvi is of the belief that Pakistan was unlucky with the appointment of Raymond Latiffe as the Neutral Expert. The Neutral Expert’s judgment sent shockwaves through Pakistan. By ruling in favor of low-level outlets, India had the potential to control the timing and flow of water into Pakistan. It emerged shortly after the award that India was planning to construct 135 dams on the Western Rivers, 24 on the Indus, 77 on the Jhelum, and 34 on the Chenab. Overnight, the issue was not a minor question about the dam design of one project anymore, but a matter of life-and-death for Pakistan. The Kishenganga project is a run-of-the-river plant designed to divert water from the Kishenganga river to the Jhelum river. 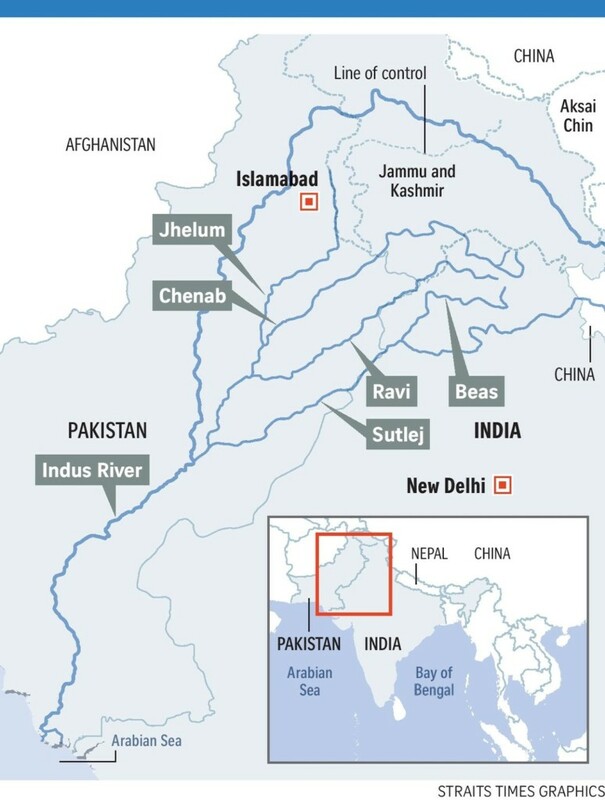 After the diversion, the water flows down the Jhelum river and into Pakistan (this is shown in the figure below). However, Pakistan believed the project violated the IWT due to engineering issues in its dam design that could supposedly affect Pakistan’s water security. Whether under the Treaty, India may deplete or bring the reservoir level of a run-of-the-river plant below dead storage level in any circumstances except in the case of an unforeseen emergency? Whether the design of the plant is in conformity with Paragraph 8(a) of Annexure D to the Treaty? Whether the design of the Kishanganga Plant is in conformity with Paragraph 8(c) and Paragraph 8(f) of Annexure D to the Treaty? Whether the design of the plant is in conformity with Paragraph 8(d) of Annexure D to the Treaty? Whether the design of the plant is in conformity with Paragraph 8(e) of Annexure D to the Treaty? The legal questions affected all Indian projects, whereas the specific technical questions only affected Kishenganga. For this reason, the legal questions were naturally of more importance to Pakistan’s long-term water security. These legal questions were posed in an International Court of Arbitration (ICA). This was a risky move as the ICA’s ruling would have precedential value, and if it ruled against Pakistan, India would be allowed to construct low-level outlets for all of their future projects. Nevertheless, Pakistan’s legal team was confident that the Baglihar ruling was not grounded on a sound legal basis and would prove to be unsustainable. The first question Pakistan posed was solely concerning the Kishenganga project (and not a general question applicable to all projects such as that of drawdown flushing). They asked whether or not the Kishenganga project violated Paragraph 15 (iii) of Annexure D which stipulates that India cannot construct a Plant on the Jhelum river if it adversely affects “the then existing…hydro-electric use by Pakistan.” Pakistan argued that since their Neelum-Jhelum hydro-electric dam was conceived before Kishenganga, the project constituted “the then existing use,” and therefore made the construction of Kishenganga illegal. However, this question posed problems for the Pakistani legal team. However, Mr. Naqvi didn’t believe that the ICA ruling on this point was a big blow to Pakistan’s overarching concerns regarding security. Average water loss at Neelum-Jhelum was supposed to be 16%, whereas after Kishanganga it would be 10%. Secondly, the water from the Kishenganga diversion eventually comes to Pakistan. And if the proposed Kohala hydropower project gets constructed, any electricity lost will get be recovered. On the question of low-level outlets, the ICA ruled emphatically in Pakistan’s favor. They stated that no future Indian project design could include low-level outlets for sediment control as it does not constitute an “unforeseen emergency.” Because of the precedential nature of the ICA’s ruling, the Baglihar decision was “grandfathered.” This meant that the Neutral Expert’s decision contained no precedential value and was limited to the Baglihar project. In this regard, the Kishenganga ruling represented an unequivocal win for Pakistan. However, the ICA’s decision was not self-executing, and further steps had to be taken before it could be fully implemented. The steps included taking the four remaining technical questions to relevant forum. Pakistan did not take these steps and failed to capitalize on Kishenganga. As mentioned above, the two forums available to India or Pakistan for dispute resolution was either the Neutral Expert or the International Court of Arbitration. Naturally, technical or engineering questions fall within the purview and jurisdiction of the Neutral Expert. With Pakistan’s poor experience with Raymond Latiffe, the Neutral Expert for Baglihar, Pakistan was hesitant to take the remaining four questions to another Neutral Expert. However, this is incorrect as a new Neutral Expert would have been bound by the Kishenganga Award, which ruled in favor of Pakistan. A Neutral Expert appointed for the Kishenganga case would, therefore, not be able to repeat the same mistakes as in Baglihar. Finally, if the Neutral Expert ruled against Pakistan, their decision would only have affected the Kishenganga case, and Pakistan could challenge such an adverse finding in a Court of Arbitration on a legal basis. Instead, Pakistan wanted to immediately take the matter to the ICA, where previously they had greater success. India categorically refused to go to the ICA and rightfully stated that the questions belong within the purview of the Neutral Expert. This impasse led the World Bank to declare in 2016 that both countries had to agree on the forum. The stalemate that followed has resulted in the Pakistan being unable to capitalize on the Kishenganga Award, and India has since been able to construct the Kishenganga project. Pakistan’s stubborn decision to attempt to go to the ICA instead of the NE baffled Mr. Naqvi. He argued that it made no sense to go the ICA and that it was in Pakistan’s interest to accept India’s offer and take the matter up with a Neutral Expert. Secondly, he argued that India’s refusal to participate in any ICA proceedings would significantly harm the legitimacy of any outcome. He even stated that any ex-parte trial would pressure the Court to “bend over backwards” for India. The controversial Baglihar and Kishenganga projects have sparked a passionate debate about India’s role in Pakistan’s water crisis. The “looming” water crisis, Pakistan’s dependence on the Indus Basin for economic security, and vulnerability as lower riparian to further Indian projects all underlie the heated water discourse among farmers, political leaders , and the public at large. Pakistan and India’s seemingly eternal standoff has only sharpened the sense of vulnerability. The government and political leadership have been quite vocal in voicing their concerns about Indian projects. In October 2008, shortly after India filled the Baglihar dam causing a sharp reduction in the flow of the Chenab river , President Asif Ali Zardari warned that that “Pakistan would be paying a very high price for India’s move to block Pakistan’s water supply from Chenab River.” He warned India “not to trade important regional objectives for short-term domestic goals.” On 28 January 2009, President Zardari warned in an article in the Washington Post that, “The water crisis in Pakistan is directly linked to relations with India. Resolution could prevent an environmental catastrophe in South Asia, but failure to do so could fuel the fires of discontent that may lead to extremism and terrorism.” Then Chief Minister of Punjab, Mian Shahbaz Sharif, stated that the water issue had become a serious problem between India and Pakistan. Earlier, Pakistan’s minister for education and former head of the ISI, Javed Ashraf, had warned the Senate in 2005 that the country could go to war with India over the Baglihar controversy. The Chairman of the Indus Waters Treaty Council, Hafiz Zahoor-ul-Hassan Dahr, has warned that Pakistan could become another Somalia and Ethiopia. He said the Indian projects were aimed at controlling the waters of the Chenab, Jhelum and Indus rivers, were illegal and a clear violation of the Indus Waters Treaty. Our research has found no reason to suggest that the Treaty fails in guaranteeing Pakistan’s security. The outstanding problems with the Treaty are purely technical in nature, as we have discussed above. These are “engineering problems with engineering solutions.” Consequently, there is a public relations program: the technical nature of the Treaty is not understood by the vast majority of the population or even the political elite. The outstanding technical problems are all related to the dam designs of run-of-the-river projects (such as that of Kishenganga and Baglihar). However, the majority of these technical issues have now been resolved. All Pakistan needs to do now is take the remaining questions of Kishenganga to a Neutral Expert, and all outstanding technical issues in the Treaty will be put to rest. It is critical that Pakistan stops conflating the technical aspect of the Treaty with broader security concerns. The two issues are mutually exclusive and should be treated as such. However, the powerful security establishment of Pakistan continues to needlessly interfere with transboundary water issues. By conflating the Treaty with broader concerns of national security, the establishment undermines the autonomy and independence of the Commission. Alleged complicity by the security establishment not only undermined the autonomy of the Commission but put Mr. Shah’s life at risk. Seeing the inflamed passions of the public, coupled with being accused of treason and betrayal, Mr. Shah fled to Canada. The authorities have asked for his repatriation, but the request has been denied. The character assignation of Jamaat Ali Shah is an example of how Pakistan politicized water as part of general Indian paranoia. This creates long term problems as political issues quickly descend in broader issues of identity, ideology, and nationalism — all of which have nothing to do with the actual crisis at all. The politicization of water in Pakistan intensifies when India initiates it. 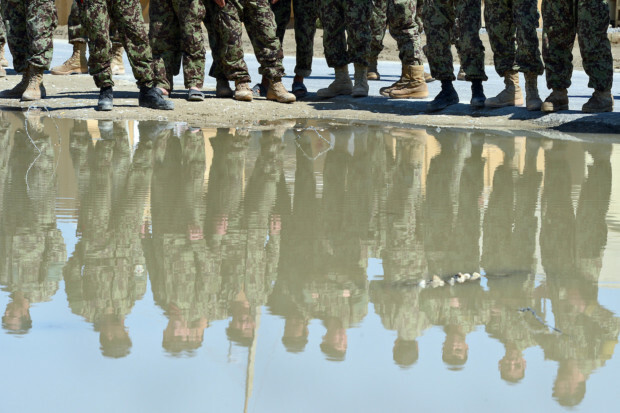 In retaliation to Pakistan’s alleged support for the Uri Attacks in Indian-administered Kashmir in 2016, Prime Minister Narendra Modi gave his infamous “blood and water speech.” It was the first time since 1948 that India had threatened Pakistan through water. The speech marked a new period in Indo-Pak water relations: the weaponization of water by India. This would have severe ramifications on the discourse and understanding of water by the general public. Yet, all politics are local. A closer inspection of the timeline of the speech reveals larger truths regarding the causes of this newfound politicization. July 2016: Secretary-level talks between India and Pakistan collapse over the designs of the Kishenganga and Ratle projects. August 2016: Pakistan requests the World Bank to establish an International Court of Arbitration for Kishenganga and Ratle. September 2016: India accuses Pakistan over the Uri Attacks in Indian-administered Kashmir. Modi delivers infamous “blood and water speech.” Suspends annual Commissioners meeting. December 2016: World Bank “freezes” all matters related to Kishenganga. February 2017: President of World Bank comes to Pakistan. Expresses concern about water. March 2017: NIA releases two Pakistani teens alleged for Uri attack. March 2017: Indus Commissioners resume meeting. Modi set up a committee to review options for India to leverage Pakistan within the framework of the Treaty as well as examine the possibility of India unilaterally withdrawing from it. Sartaj Aziz responded by saying any attempted abrogation will be considered an “act of war.” With each statement by India and with each rebuttal by Pakistan, an atmosphere of anxiety was created around the possibility of India “closing the tap” on Pakistan. This rhetoric did not help ease Pakistan’s water concerns. Both countries must take confidence-building steps in the realm of water to repair the trust deficit. The nature of the Indus Commission allows this to happen more easily (as compared to broader Indo-Pak relations) as the dealings are behind closed doors. India must take steps to put aside internal political differences to ensure the smooth coordination on the international transboundary level. This is especially relevant now given the recent politicization of water. In 2018, Narendra Modi inaugurated the Kishenganga power plant amid calls from Pakistan that the dam violated the Indus Waters Treaty. The inauguration was widely reported in local media and quickly made the rounds on social media. Pakistan then sent a delegation led by the Attorney General to the World Bank headquarters in Washington D.C. They were unable to achieve a favorable result and came back empty-handed. The reality is that the Kishenganga project has done more damage to the public conversation than it has good. The inauguration, and the discourse amongst the public and the media played into existing Pakistani dispositions about India acquiring the ability to threaten Pakistan through water. This is simply not true. But in politics, some myths are as good as reality. And the myth that India causes Pakistan’s water crisis is as good as any. We believe his argument has merit. While it may not have been an explicit reason for the division of the rivers, it is clear that the two countries cannot hold a regular dialogue at a political level given the repeated breakup of talks. The two countries have failed to work together effectively. In this context, perhaps it was best that the Treaty did not share water control on particular rivers but gave each country three rivers to meet their requirements. According to Rafay Alam, it is the only water Treaty in the world that divides a river. However, given the political climate of India and Pakistan, we believe this is beneficial. And herein lies one of the Treaty’s greatest success: an established mechanism for dialogue and communication between two countries that do not engage in regular dialogue. However, contemporary issues have emerged given the fact that the Treaty is now 58 years old. Not a word of it has been modified, altered, or changed in any way. Science and technology have changed the way water experts understand and approach hydrology in the present day and have shed light on issues that were not known in 1960. Many people in Sindh, the southernmost and second-largest province in Pakistan, feel that the Treaty didn’t address their concerns as the lower riparian of Punjab. 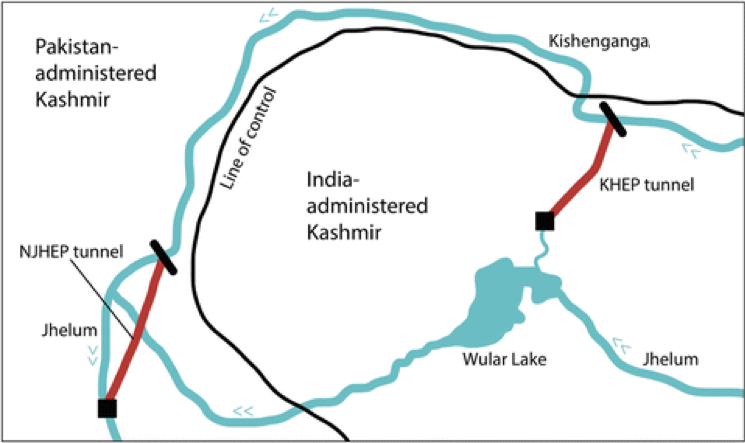 The IWT was negotiated between India and Pakistan in a manner that evaded the issue of Kashmir’s disputed status despite giving the countries a license for agricultural and hydropower developments. Moreover, China and Afghanistan, the two other states that encompass the Indus Basin were not included in the Treaty. However, many stakeholders in the region that feel that the Indus Waters Treaty robbed them of a “seat at the table.” These stakeholders include Sindh, Kashmir, Afghanistan, and to a lesser extent, China. Sindhis (natives of the southernmost province in Pakistan: Sindh) have consistently felt that the brunt of Pakistan’s water crisis has fallen on them as they are the lowest riparian in the Indus Basin. Moreover, with most of Sindh’s arable land falling prey to the menace of waterlogging and salinity, anger over poor water mismanagement has been streamlined to Punjab, Pakistan largest and most fertile province. Punjab is the upper riparian whereas Sindh is the lowest riparian in the basin. Sindhis have mistrusted Punjab and its use over water and argue that Sindh does not receive its fair share. They point to the One Unit scheme and argue that depriving the “Sindhi perspective” during negotiations culminated in a Punjabi-centric Treaty. They argue that the IWT has to be revised to ensure the water rights of Sindh are protected. Similarly, the Indus Waters Treaty completely avoided discussing the disputed region of Kashmir in the negotiations or the final draft. However, the bulk of the Treaty directly affects the physical land mass of Kashmir and thereby, the Kashmiri people. This lack of representation prompted the Jammu and Kashmir Assembly to table a resolution in 2003 rejecting the Indus Waters Treaty and hire a consultant to quantify their losses. The Indus Basin also comprises Afghanistan and China, two states that are not included in the Treaty. Zafar Adeel has argued that the need to incorporate the two countries into a renegotiated Treaty is of critical importance. Given that Afghanistan’s developmental agenda will put more pressure on the basin’s waters, and the exacerbation of China’s freshwater crisis which may lead them to exploit Tibetan glaciers, all four countries might need to renegotiate this treaty and discuss shared water management in the future. There is no doubt that the Treaty does not encompass various stakeholders in the Basin. There is also conclusive evidence that issues such as climate change and the advancements in science and technology make this Treaty outdated. Nevertheless, we do not believe that the Treaty should be opened up for any form of renegotiation from the Pakistani side. The Treaty was meant to ensure Pakistan’s water security by creating a legal framework through which India could not control Pakistan’s waters. As we have argued throughout our paper, there seems to be no indication that the Treaty is failing to achieve this. Furthermore, Pakistan opening up the Treaty implies that they believe they can derive further benefits from India. This is simply not true. India has no reason to give up any of their share of water and make concessions to Pakistan given the growing needs of the population and the developmental plan India has embarked on. Abandoning the Treaty will hurt India’s reputation internationally for taking advantage of its position to threaten Pakistan. Moreover, India has to be cognizant of the fact that it is a lower riparian of the Brahmaputra river with China being the upper riparian. India or China do not have any water-sharing agreement or treaty regarding the Brahmaputra river. Any threats on India’s side will give China the opportunity to start its own projects on the Brahmaputra. This will negatively affect water inflow into India, who would want to avoid these projects at all costs given China’s close relationship with Pakistan. Execute the Kishenganga Decision by complying to India’s request to take the matter to a Neutral Expert rather than the International Court of Arbitration. The Kishenganga Decision in 2013 represented an unequivocal victory for Pakistan. However, the impasse over which forum to use in implementing the settlement led Pakistan to squander their victory. The status-quo position of using the ICA over the Neutral Expert has led to more harm than good. We do not believe that it is in Pakistan’s best interest to take the matter to the ICA, who would be better off accepting India’s request to take remaining questions to the Neutral Expert. Ensure a working definition of “Pondage” that is acceptable to both parties. There are two competing and conflicting definitions of pondage under the Treaty. The two countries should take the issue to either the ICA or Neutral Expert and request clarification on the matter. We hope this will preempt and prevent future disputes. Timely data sharing through installment of telemetry systems. As a downstream country, Pakistan cannot be denied access to gauge levels and data regarding river flow. Without this information, Pakistan cannot ascertain whether India is adhering to the IWT. There is a genuine concern that India is not sharing this data as stipulated by the Treaty, nor in good faith to reconcile differences and regain trust. One step that can be taken is to install a satellite-based, telemetry system for real-time hydrology data on rivers. This issue has been discussed in the past between Commissions, and steps should be taken regarding implementation. Transparency between Commissioners regarding new Indian Projects on Western Rivers. Pakistan’s concerns are multiplied due to lack of timely and adequate data sharing which has deepened distrust between the two countries. Islamabad strongly believes New Delhi has not been fulfilling its obligations stipulated in the IWT such as communicating details of new projects six months before their commencement, diversion for storage and farm purposes from Western Rivers, and providing details about ancillary projects. India needs to supply timely information on the design of its projects on Western Rivers before starting work on them. This will allay Pakistan’s apprehensions regarding their incompatibility with the Treaty and transboundary impacts on the Pakistani side. Mitigate the role of the World Bank and other international institutions in Indo-Pak transboundary water relations. The World Bank’s helped negotiate the Treaty and disperse the necessary funds for the Indus Basin Project. The Bank has no contemporary role except to help appoint a Neutral Expert and ICA panel in case when both parties cannot resolve outstanding issues bilaterally. Going to the World Bank, as Pakistan has repeatedly done in recent years, is unnecessary and detracts from more substantial, structural issues. De-politicize and de-securitize the Treaty and broader Indo-Pak water relations. The current problems with dam design are engineering problems with engineering solutions. These issues should not be conflated with needless political rhetoric or “point-scoring,” which is usually not grounded in fact. By securitizing and politicizing the Treaty, the discourse is shaped away from the true reasons for the crisis, which we will discuss in Part II. We have conducted our analysis of the Indus Waters Treaty to understand India’s role in Pakistan’s water crisis. Our research concludes that India does not directly cause the crisis in any way. The limited effect of the run-of-the-river projects, such as Baglihar and Kishenganga, only negligibly affect water supply into Pakistan. The indirect effect is much greater: Tensions with India serve to distract from the bigger issue of inequitable distribution and misallocation which we will elaborate in Part II. Pakistan has genuine grievances regarding Indian projects on the Western Rivers. However, the IWT has an established dispute-resolution mechanism that has been respected by both parties and continues to service their needs today. For these reasons, we do not believe the Treaty should be revisited, revised, or discontinued. Using Article VII to open the Treaty up for “improvements” might be problematic given the political climate between the two countries and a recognition that Pakistan will face immense challenges in deriving concession from India. Cultivation of local elites through a network of support including settlement and resettlement policies. These elites owed their prosperity to the irrigation system and therefore to the British. The ethos governing water management was not driven by a micro-level concern for public well-being and equity, or for the provision of public service to the people, but rather, by the need for consolidation and rationalization of colonial control by creating specific geographies of access to resources and social control.Today, Pakistan’s water management policies are merely a continuation of the British colonial legacy. The post-colonial Pakistani state inherited a colonial administrative system whose ethos was not changed at the time of independence. The countervailing rural civil society, for which the Canal Act was supposedly made, was weak at the time of independence and has remained disenfranchised due to the Pakistani state’s inability to change the modus operandi of using water for control and power. The water bureaucracy is still characterized by a definable hierarchy of functionaries, who are typically more in tune with the requirements of their internal administrative hierarchy than public demands for equity and public efficiency in management. Irrigation departments seem to be conveying an impression of being more of a policing body against a rogue population than a public utility working for their benefit. There is no noteworthy contrast when it comes to differentiating the mentality of those in power today from those who were the colonial rulers of the past. In the coming sections, we will show how this mentality is the fundamental problem in addressing contemporary water concerns. Until water is seen as a means of influence, power, and control, and not a public utility that is equitably distributed to all citizens (as enshrined in Pakistan’s constitution), no policy, reform, or dam—no matter how visionary or grand—will substantially alter the course of the crisis. In the coming sections, we will show how structural deficiencies have been molded by Pakistan’s colonial legacy but have presented themselves contemporarily through grossly decadent state priorities vis-a-vis water allocation and distribution. The fact that the physical quantity of water has not changed leads to the question: is there enough water in the Indus Basin to sustain the lives of 210 million people? The UN declared a human right to water on 28 July 2010, with the issuance of Resolution 64/292. This resolution provided that between 50 and 100 gallons are needed per person per day to provide basic needs, such as water for drinking and bathing. If we use the upper limit of 100 gallons being the daily requirement—and with 200 million people living in Pakistan—this will amount to a demand of roughly 33.6 Million Acre Feet (MAF) per year. Given that the total annual freshwater in the Indus Basin roughly amounts to 263-268 MAF, daily requirements are much less than the total estimated annual flow of Indus surface water. This suggests that there is more than enough water to adequately sustain the country’s population. It is clear that Pakistan does not have a physical scarcity of water, but that the water Pakistan possesses is not equitably distributed as millions of people do not have regular access to it. Pakistan allocates 95% of its water to agriculture, making it the largest fraction of water consumption in Pakistan. Therefore, it is essential to understand the role of agriculture in Pakistan’s broader water context in the next section. Pakistan’s reliance on agriculture is the single largest cause of the water crisis today. The state allocates 95% of its water to produce 20-25% of its annual GDP output. We posed a simple question to a high-ranking bureaucrat we interviewed: how can one morally justify such a mismatch in the allocation of resources? According to him, the answer can be found in the need for food security: humans need food, food needs water. However, a closer look at where the water goes reveals a different picture. Cotton and sugarcane are two of the most water-intensive crops to produce. The amount of water these crops use is staggering; roughly 22,500 liters of water are required to produce one kilogram of cotton and 1,500-3,000 liters for one kilogram of sugarcane. However, Pakistan has not only allowed, but encouraged, the growth of these water-thirsty crops. Sugar cane is arguably the most controversial. Sugar is a delicacy and does not contribute to the food security of the country. Yet, the government has taken no steps to limit its growth and save water. Mansoor Awan, a lawyer based in Lahore, talked to us about the effects of growing sugarcane on water levels in an area. Mr. Awan’s associate, Asghar Leghari, is from Rahim Yar Khan, a border town between Sindh and Punjab that lies on the banks of the Indus River. There is no canal system there, so there is greater reliance on groundwater. In the last two decades, eight new sugar mills opened in the district. The water level dropped from 20 feet to 80 feet and is on its way to reaching 100 feet. The “interests” that Mr. Awan was alluding to were that of the sugarcane lobby. Pakistan’s sugar millers are mostly influential politicians. Sugar is the fuel that national politics runs on. The sugar lobby primarily funds the three largest political parties. But this is not an issue of crony capitalism, which symbolizes the relationship between the business and political class. Here, the business class is the political class. In 2009, The Nation reported that there were 78 sugar mills in the country and the leaders of the three biggest parties alone—mostly through relatives and associates—owned more than fifty percent of these mills. While an argument could be made that this data is outdated, a simple review of the politicians named in the report makes it clear this is not the case. Nawaz Sharif (ex-Prime Minister), Asif Ali Zardari (ex-President), and Jehangir Tareen (the biggest financial contributor to the current ruling party’s government) all continue to play an active role in the politics of Pakistan today. The fact that powerful political players all have high financial stakes in the sugarcane industry makes the issue more complex. The policymakers who are trusted to act as representatives of the people happen to be the ones gaining from the existing policies that cause of the crisis itself. This is most directly seen in the continued support and patronage of sugarcane cultivation through subsidies. Billions of rupees are paid from the Public Exchequer in the form of subsidies to boost sugarcane production, primarily for exports. For example, in the 2017-18 season, the Sindh government alone paid a provincial subsidy of Rs 3.25bn (Rs9.3/1kg) to sugar mills located in Sindh as export rebate. Of the 1.7m tons Pakistan exported, 0.9m were from Sindh. While one bureaucrat is by no means a representative sample, it was clear that there was an embedded status-quo that did not feel that 95% of water devoted to agriculture was a problem at all. A paradigm shift is necessary. Pakistan must move away from agriculture, or at least have a vision of doing so. It seems that this is unlikely to happen until the entrenched status-quo is not overturned. With the water crisis now taking center stage in public discourse, people are quick to posit their own solutions. The Chief Justice of Pakistan believes that the solution lies in the construction of a $14 billion-dollar dam. Well-meaning samaritans advocate conserving water in homes and offices by doing things like taking quick showers, closing the tap when not in use, and washing cars less. Some claim that “flood irrigation” must be replaced by “drip irrigation.” Others point to unlined canals and leakage as an area for improvement. These canals and leakages lead to almost 25% of Pakistan’s water being wasted. All these are plausible solutions. However, there has yet to be real discussion over the pricing of water. Recently, the Planning Commission published a report, “Canal Water Pricing for Irrigation in Pakistan: Assessment, Issues, and Options,” pointing out in no simple terms that Pakistan is simply not paying the cost of the water it uses for agriculture. Consumers of canal irrigation water pay an abiana charge levied under the Canal and Drainage Act, 1873, which states that “The rates to be charged for canal water supplied for irrigation to the occupiers of land shall be determined by the rules to be made by the provincial government, and such occupiers shall pay for it accordingly.” Provincial governments publish water rates. In Punjab, until 2003, there were sporadic increases in water charges. Now the government has applied a flat rate system of 85 rupees (Rs) per cropped acre during the kharif season and Rs. 50 per acre during the rabi season. The Khyber-Pakhtunkhwa government charges up to Rs. 250 for non-food crops. This system allows provincial governments to gain revenue which could be spent on improving water infrastructure. The Punjab government, for example, manages an estimated $20 billion in water infrastructure. According to water expert John Briscoe, “this would imply that the cost of replacement and maintenance of Punjab’s stock of water resource and irrigation infrastructure would be US $0.6 billion a year” and that the government should be investing around US $0.3 billion a year in replacement and maintenance. As of 2006, the Government of Punjab’s budget for maintenance was about 6.5% of that benchmark. Pricing water would help the government recover much-needed revenue to bridge the gap between required spending on water infrastructure and the current levels of actual spending .In no way is this abiana pricing in Punjab sustainable. It doesn’t even cover the cost of operation and maintenance costs. With such low water prices, it is unsurprising that practices such as “flood irrigation” still occur in Pakistan. With no incentive to reduce water usage, farmers flood their fields to irrigate their land and crops. It is for this reason that Pakistan’s water productivity is extremely low, leading to the needless waste of water. In 2005, water productivity stood at 0.13 kg/m3 — which is relatively small compared to Indian productivity at 0.39 kg/m3, and miniscule in comparison to the USA with 1.56 kg/m3, and Canada with 8.72 kg/m3. Domestic water prices in urban cities are priced under flat, block-rate schedules. According to Rafay Alam, they were established to ensure “the efficient use of the resource, as well as to achieve equity, environmental conservation, cost recovery, and public participation.” However, the water experts we interviewed all unanimously agreed that the current pricing model does not encourage conservation. Saying that water should be priced as a commodity rather than a public good makes intuitive sense. However, several challenges must be overcome to do so. First, one must ask the moral question: is it justifiable to price water—a fundamental right that upholds dignity and life—and in turn exclude certain segments of the population that may not be able to afford it? Is it politically possible to do so? How will the public react to paying more for water? In answering these questions, we once again turn to the largest consumer of water: agriculture. Water represents a very small amount of the cost of production. Therefore, pricing water will not greatly affect the overall cost of any particular good. There is a need to create incentives and expectations for rural landowners, in particular, to save water by switching to more efficient irrigation techniques. We believe the first step to changing rural behavior actually lies in pricing water in the urban localities. Since most rural landowners live in cities (as opposed to their villages), metering their homes—and everyone else’s—would create a normative trend of responding to incentives and conserving water.By measuring the amount of water consumed in a household through metering, there can be a radical reduction in the consumption of this resource. We hope this important first step will ultimately lead to more awareness on water conservation. In the years that come, we hope that this step would lead to a situation where the government has the political capital and will to push for a more widespread approach at pricing water throughout the country. However, Mangla and Tarbela were not the only sites identified to construct a large dam. The small town of Kalabagh was also recognized as a strategic location because this is the point where the Indus River becomes a natural dam. As early as 1953, the site was chosen as the location to construct a large dam. It is this reason that at one point, the construction of the dam was considered to be more important than building a nuclear bomb. However, due to the turbulence of the seventies and eighties—the breakup of Pakistan and the Soviet invasion of Afghanistan—the dam could not be constructed. It was only under Pervez Musharraf that the issue of Kalabagh gained traction. Musharraf wanted the dam to be built at all costs and encouraged all stakeholders to come to a consensus. However, the question of Kalabagh became a highly politicized issue in inter-provincial affairs. The political motivations behind the opposition of Kalabagh dam between Sindh and Punjab (two provinces in Pakistan) strongly resembles Pakistan’s political motivations when it criticizes India’s projects on the Indus. Sindh is the lower riparian of the Indus river as compared to Punjab. Furthermore, Sindh is a relatively barren province in comparison with Pakistan and faces the brunt of Pakistan’s water woes. As much as 53% of Sindh’s land has been destroyed by the menaces of waterlogging and salinity, essentially rendering the land useless. In Karachi (provincial capital of Sindh), the state of water access is abysmal. Over 50% of the ten million residents of the city don’t have uninterrupted access to water. And what’s left is often unfit for consumption: a whopping 91% of water in Karachi contains sewage and industrial waste, according to a Pakistani judicial commission report. Given the plight of many residents of Sindh, as well as the geographic fact that Punjab is the upper riparian and has access to more surface water, the issue of water has been successfully used by Sindhi politicians for short term electoral gain. By politicizing Kalabagh, and subsequently water, there is a large anti-Kalabagh lobby that has polarized the country. Advocates of the Kalabagh dam say that its construction is a matter of life and death for the survival of the country. They cite the benefits of the dam by saying that it would provide additional water storage, generate electricity, and irrigate millions of acres of land. Opponents say that it will only heighten the imbalance between access to water between Punjab and Sindh as the upper riparian (Punjab) will have control over water flows. The sentiments have polarized the country and manage to fill the headlines: “Punjabi farmers reject 1991 Water Accord without Kalabagh dam” and “Sindh rejects construction of Kalabagh dam”. There is a theory of public opinion that states that citizens are cognitive misers. This means that citizens form opinions on complex and technical matters that are beyond the scope of their knowledge through “filters” or “aids.” Some of these filters include identity, ideology, partisanship, gender, etc. The merits and demerits, advantages and disadvantages of the construction of complex projects such as dams are beyond the scope of understanding of the common man. Yet, people still form opinions on the matter through their predispositions. Professor Daanish Mustafa believes that Kalabagh has now become an issue of Pakistani identity. This discourse plays into our previous discussion on development. Adopting a neo-liberalist view of development has created a developmental paradigm; dams, technology, mass production, and consumption were the demands of the day. This thinking has not changed, and this is reflected in the fact that contemporary notions of development, particularly water resource development, have not changed. This is further evident by the almost missionary approach to the construction of Pakistan’s newest water obsession: the Diamer Basha dam. As we were researching for this project, Pakistan tried a new way to fund the construction of a dam: crowdsourcing. Over the summer of 2018, the Chief Justice of Pakistan launched a “dam fund” in attempt to crowdfund the construction of the $14 billion-dollar Diamer-Basha dam. Officials say that the construction of this dam will solve the endemic shortages of water. Television news shows repeatedly show large donors handing cheques to the dam fund in masse, including the Pakistani football team, Pakistani politicians, government officials, and military officers. Citizens can text “dam” to the number 8000 and donate Rs. 10 (the equivalent of 10 cents) directly from their phone. These donations, however, are simply not going to be enough to construct the dam. As of Jan 12, 2019, only US$65 million has been collected since the fund was launched in May 2018, which is a little over one percent of the dam’s estimated cost. At this rate, it would take 120 years to completely fund the dam. However, there is a larger problem at play here: it makes little economic sense for the government to divert this much money to one project. According the World Commission on Dams, the average cost overrun for large dams is 56%. Diamer-Basha’s estimated cost is $14 billion. If conservative estimates are followed, Diamer-Basha’s cost may well swell to over $22 billion. Pakistan’s official GDP in 2017 was roughly $300 billion. It does not take much math to tell that with the Diamer-Basha dam, Pakistan will be roughly committing to a project equivalent to almost 8 percent of their total GDP The biggest infrastructure project in Europe today is the Crossrail project in London at $20 billion. But that is being financed by the British economy, which is worth $2.6 trillion. The Pakistani people are being asked to make a disproportionate commitment which may not be necessary in the first place. Dam building is a classic example of political myopia. These are short-sighted policies that appear to have great political benefit. When the government invests in something tangible that people can see—such as dams—the population is under the impression that progress is being made. This also helps politicians electorally by giving them a “ribbon-cutting” opportunity to showcase concrete work (quite literally) that the government has completed. People will be better served if the government moves away from brick-and-mortar projects to a more off-the-screen approach aimed to manage water demand, where the real solution of the water crisis lies. In short, Pakistan doesn’t need to build dams to solve its water crisis. There are many policy tools at hand to chart a different path for water conservation. Some are focused on agriculture: switching to less water-intensive crops, lining conveyance canals, leveling fields, using drip irrigation instead of flood irrigation, paying farmers to conserve, and eliminating politically-backed subsidies for sugarcane. Other solutions are aimed at municipal and industrial users: establishing tiered water rates, replacing inefficient water appliances with high-efficiency models, using water barrels and roof-top cisterns to collect rainwater, removing water-intensive vegetation, and replacing aging, leaking delivery pipes. Taken together, these methods can dramatically reduce water use. Prioritization to demand management in Pakistan undoubtedly will require a fundamental shift in thinking, an earnest mustering of political will, and considerable funding possibly including international and/or bilateral assistance. This shift appears essential if Pakistan’s irrigated society is to continue to exist. Stop perpetuating the post-colonial mindset of using water as a form of control. The ethos governing water management should now be driven by a micro-level concern for public well-being and equity, or for provision of a public service to the people. The current structures and bodies in place should be reevaluated and reintegrated with the current discourse to better implement water distribution and allay the issue of water inequity and distribution within the subcontinent. Stop using the term “water scarcity.” Water scarcity implies that there is not enough water. In the case of Pakistan, we have proved that this is not true. There is an abundance of freshwater in the Indus Basin that can fulfill the need of all citizens if managed correctly. Neo-Malthusian theories of “not having enough” detracts from the real water crisis: misallocation and inequitable distribution. “Water crisis” would be more appropriate terminology. Re-allocate water away from agriculture. According to the Pakistan Water Policy 2018, 95 percent of the water use in Pakistan is for agriculture. The vast majority of that water is used for cash crops like cotton, rice, and sugarcane for exports and not to provide food to the poor. If the commercial agriculture is the ultimate victim of water scarcity, surely it could part with just 2-4 percent of water for the domestic sector, for a few million tons less of sugarcane, rice or cotton. That could double or triple the water availability for the domestic sector and eliminate any supply problems in one go. Price water in large cities, and eventually the farms. There currently exists no political will to start pricing water at all levels of society. The current model of flat-rates in the domestic sphere and the abiana charges for the agricultural sphere do not create incentives to conserve models and fall proportionately more on the poor. To ameliorate this, we propose “metering” water in cities the same way as is done with other utilities such as electricity and gas. We hope that this will start a normative trend of responding to incentives, eventually leading to the state possessing enough political will to start pricing irrigation. Focus on demand management rather than supply-side approaches. There exists a need to look beyond supply-side solutions such as building dams and other structures to ameliorate the present crisis and look and demand control mechanisms which can enhance the future sustainability of agricultural production within Pakistan. Acts such as crowdfunding for dams only perpetuate post-colonial legacies and do little to tackle the main crisis at hand. While this requires political will, it is necessary for policymakers and politicians to look beyond projects which provide optical popular support and challenge the way of agricultural production in Pakistan. Throughout the course of this paper, we have been hesitant to use the term “scarcity” to refer to the water crisis in Pakistan. This is a deliberate effort to show that there is not a scarcity of water, but instead the wrong prioritization, usage, and distribution of the available water. We believe that “water crisis” is more appropriate terminology and is one that encompasses systemic problems within the Pakistani administration, attitudes and polity. As highlighted through the course of the paper, some key elements have been the accentuation of the post-colonial mentality of water control through the perpetuation of the 1873 Canal Act, misallocation of water to agriculture, lack of water pricing in irrigation and domestic usage, and an irrational focus on supply side water management through infrastructure projects such as dams-thereby neglected demand management. While these in no way provide an exhaustive list of problems to the issue of water in Pakistan, they try to direct us to the main avenues and causes of the precarious situation of water in the country and hope to resolve them in the foreseeable future. Uzair Sattar is an undergraduate at Tufts University majoring in International Relations with a specialization in Middle East and South Asia. His interest in the region stemmed from living in the UAE and Pakistan before coming to college. During his gap year after completing high school, Uzair worked in microfinance as well as a corporate law firm. In college, Uzair acts as Co-President of the Tufts International Club, Co-President of NIMEP (a Middle Eastern student think tank), and is the Founder, President, and Captain of the Tufts Cricket Club. He is also a member of Tufts Mock Trial and was a member of HYPE! – the only collegiate mime troupe in the country. Uzair also writes monthly columns on Pakistan’s water crisis for SouthAsia Magazine, which isa socio-economic and political review. Atrey Bhargava is an undergraduate at Tufts University studying Economics and International Relations with a focus on Middle East and South Asia. He is from Lucknow, India and spent his formative years in a boarding school in the mountains of Uttarakhand. He was an Oslo Human Rights Scholar over the summer of 2018 and worked at the Center for Non-Applied Violent Action and Strategic Studies in Belgrade, Serbia. Over the same summer, he was a Tufts for Rwanda Fellow and he visited Rwanda on a trip sponsored by the Tufts Hillel. At Tufts, he is the Co-President of NIMEP (a Middle Eastern student think tank), and a member of the Tufts Debate team and Tufts 180 Degrees Consulting. He is also the treasurer for the Tufts South Asian PAC and plans to study law or public policy in the future. We are extremely grateful to Heather Barry for vouching for us and supporting our research plans throughout the process. Her advocacy on our behalf would not have made this project possible. She remains a constant source of guidance, advice, and support. The mentorship, encouragement, and expertise of Professor Ayesha Jalal has fueled our passion inquiry in South Asia. Her continued support for our academic and career pursuits has been at the heart of our journey at Tufts. We would like to particularly thank Erum Sattar for her encouragement and patronage. She was the first person we met since starting the project. Her input on the topic helped create the final project outline. Many other individuals offered their help at various stages of the project. Thank you to Irfan Wahid and Babar Sattar, who were so helpful in facilitating Atrey’s visa. Thank you to Shahid Aziz, who sent us a photograph he took of the Upper Neelum Valley at Keran which splits acts as a border between India and Pakistan (India on the left of the river, Pakistan on the right). We are both indebted to our families for their constant encouragement and support throughout the course of the project. They believed in our goals, stood resolutely alongside us in times of difficulty, and helped us along the way as we achieved them. Thank you to Saqib Hafiz and Yasir Mirza for facilitating our trip and ensuring we have a perfect trip in Pakistan. Briscoe, John et. al. 2005. “Pakistan’s water economy: running dry” Washington, DC: World Bank. http://documents.worldbank.org/curated/en/989891468059352743/Pakistans-water-economy-running-dry. Pp 89. Gilmartin, David. “Blood and Water: The Indus River Basin in Modern History.” University of California Press. 2015. Pp 206. Zafar, Adeel et. al. “Imagining Industan: Overcoming Water Insecurity In The Indus Basin.” Springer International Publishing. Pp 12-13. Kaushik RK, “How Ferozepur Became Ours.” Times of India, 19 April 2016. https://times ofindia. indiatimes.come/india/how-ferozpur-became-ours/articleshow/469742. Rehman, Nida. “From Artifact to Site: Understanding the Canal in the City of Gardens.” Master’s thesis, Massacussetts Institute of Technology. 2009. Lilienthal, David. “Another Korea in the Making?” Colliers, Aug 4, 1951. Naqvi, Feisal. Personal Interview. 10 August 2018. Michel, Aloys, “The Indus Waters.” Pp 254. Naqvi, Feisal. Personal Interview. August 10, 2018. Fruchard, B. Camenen. “Reservoir Sedimentation: Different Type of Flushing – Friendly Flushing Example of Genissiat Dam Flushing.” ICOLD International Symposium on Dams for a Changing World, Jun 2012, Kyoto, Japan. 6 p., 2012. Akhtar, Shaheen. “Emerging Challenges to the Indus Waters Treaty.” http://www.irs.org.pk/f310.pdf. Pp 42. Alam, Rafay. Personal Interview. Aug 10, 2018. Subramanian, Nirupama. “Violation of the Treaty Will Damage Ties: Zardari.” The Hindu. Oct 13, 2008. “Water Issue A Serious Problem, says Shahbaz.” The News. Mar 21, 2010. Sumbly, Vimal. “Baglihar Project: J&K’s possible entry into ‘power’ zone.” The Tribune. Dec 26, 2007. Jalal, Ayesha. Personal Interview. Aug 9, 2018. Zafar, Adeel et. al. “Imagining Industan: Overcoming water insecurity in the Indus Basin.” Springer International Publishing. Pp 5. Rajput, Muhammad Idris. “Water Problem: Perspective from Sindh.” Problems and Politics of Water Sharing in Pakistan. Pp 117-127. Vashishth, C.R. Indus Waters Treaty: Conflict Between India and Pakistan. Zafar, Adeel. Personal Interview. 8 August 2018. Khan, Fawad. Personal Interview. Aug 7, 2018. Ahmad, Masood. Personal Interview. Aug 6, 2018. Anonymous Bureaucrat. Personal Interview. Aug 5, 2018. Awan, Mansoor. Personal Interview. Aug 10, 2018. Sheikh, Ali. Personal Interview. Aug 3, 2018. Iqbal, Syed Jawad. “Why Kalabagh?” South Asia Vol. 22 (11). https://www.cnn.com/2015/10/13/tech/future-cities-london-crossrail/index.html, Accessed October 13, 2015. Kaushik RK, “How Ferozepur Became Ours.” Times of India, 19 April 2016. https://times ofindia.indiatimes.come/india/how-ferozpur-became-ours/articleshow/469742. Gilmartin, David. “Blood and Water.” University of California Press. 2015. Pp 206. F. Fruchard, B. Camenen. “Reservoir Sedimentation: Different Type of Flushing – Friendly Flushing Example of Genissiat Dam Flushing.” ICOLD International Symposium on Dams for a Changing World, Jun 2012, Kyoto, Japan. 6 p., 2012. Akhtar, Shaheen. “Emerging Challenges to the Indus Waters Treaty.” http://www.irs.org.pk/f310.pdf. Pp 59. Naqvi, Feisal. Personal Interview. Aug 10, 2018. Akhtar, Shaheen. “Emerging Challenges to the Indus Waters Treaty.” http://www.irs.org.pk/f310.pdf. Pp 47. Naqvi, Feisal. Personal Interview. Aug, 2018. Alam, Rafay. Personal Interview. Aug, 2018. Alam, Rafay. Persona lnterview. Aug 10, 2018. Mustafa, Daanish. Personal Interview. Aug 4, 2018. Naqvi, Feisal. Personal Interview. Aug 9, 2018. Akhtar, Shaheen. “Emerging Challenges to the Indus Waters Treaty.” http://www.irs.org.pk/f310.pdf. Pp 215. Tariq, Sardar Muhammad. “The Indus Waters Treaty and Emerging Water Management.” Pp 87-88. Mustafa, Danish. Personal Interview. 4 August 2018. Jalal, Ayesha. Personal Interview. 9 August 2018. Mustafa, Danish. Personal Interview. Aug 4, 2018. Mustafa, Danish. Personal Interview. Aug 4 2018. Zafar, Adeel. Personal Interview. August 8, 2018. Briscoe, John et. al. 2005. “Pakistan’s water economy: running dry” Washington, DC: World Bank. http://documents.worldbank.org/curated/en/989891468059352743/Pakistans-water-economy-running-dry. Pp 58. Khan, Fawad. Personal Interview. August 7, 2018.
https://www.cnn.com/2015/10/13/tech/future-cities-london-crossrail/index.html, [Accessed October 13, 2015.